Leroy Frank Van Dyke was born on October 4, 1929 in Spring Fork, Missouri. After graduating from the University of Missouri he served a tour in the U.S. Army. He became a professional auctioneer in 1951 and put that experience to good use to start a second career as an entertainer. His musical debut was with the Auctioneer, a tune he co-wrote in 1956. The song went to #9 [Country] and #19 [Pop], competing on the latter chart with a cover version by Chuck Miller. 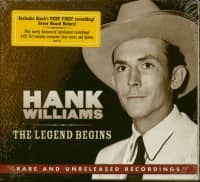 Although it took almost five years before he had his next hit, when it did come it became one of country music's biggest singles in 1961, Walk On By charted for 37 weeks, 19 as #1 in the Country charts and 16 weeks in the pop charts. Van Dyke turned out a steady stream of hits in the '60s and '70s. Mister Professor also appeared on the Harlan Howard album, 'To The Silent Majority, With Love'. Van Dyke's single went only to #71 in the country charts. Mister Professor addressed the perception that the core of the anti-war movement was on college campuses. Then, by implication, it assigned the principal blame for "these bums" (quoting Nixon) to the faculty who took the good kids they were sent and turned them "loose on the world with a messed up mind." With more than fifty years of recording, live shows, radio (e.g., 'Country Crossroads') and television (e.g., Ozark Jubilee) on his résumé, Van Dyke remains active in music. His website indicates that at age 80 he continues to perform.